I just returned from a trip to Austria, which always feels nostalgic. Vienna is where I chose to spend time in college - I couldn't believe how grand and stunning the city was. Plus, I have always loved the German language, coffee and cake breaks, and classical music. Vienna was made for me. Today, it isn't trying to be the next Berlin or Brooklyn - there is great innovation and a young spirit, but it really leans into that imperial court feel and coffeehouse culture. I love that. 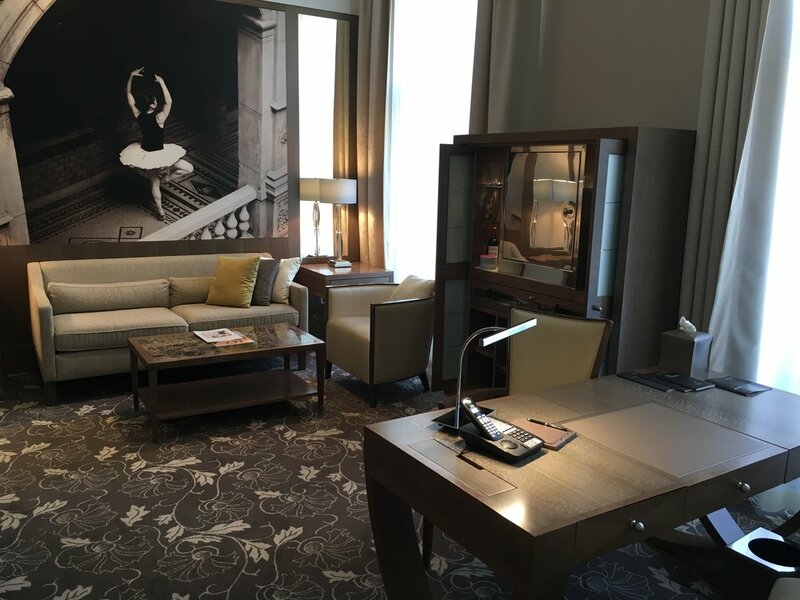 The first hotel I stayed in was the Palais Hansen Kempinski Vienna, in one of the Hansen Suites. The hotel is whimsical and has a hint of French flair - the lobby lounge has pops of color and a huge low-hanging chandelier, while my room was masculine and muted. It's a great choice for Vienna, ever so slightly removed from the city center, but an easy walk to everything you need.